Yes, for a given pressure and bullet weight, a larger bore will accelerate the bullet more quickly and get it "up to speed" in a shorter distance. Last edited by Clint; 04-25-17 at 00:38. 277 wolverine seems like a very good reloaders cartridge. Even if there was another scare it likely wouldn't affect these components. At this point it is strictly a wildcat although a couple of companies are selling "factory" ammo made on reformed 223 brass. Making Wolverine brass is pretty much the exact same process as making 300BLK. Chop the 223 case off at the shoulder and then size. Finish trim and load. Rocky Mountain Reloading has the Nosler 115gr BTHP for fairly cheap as well as some 150gr Federal Fusion bullets. Both would probably be a good choice for bulk reloading. The 115gr should be a good choice for general range work while the 150gr apparently works well for subsonic stuff. In looking at available .277 bullets it seems the 100gr or 110gr Nosler Accubond or the 90gr Nosler Bonded should work well. These bullets should retain enough velocity from a 12.5in barrel to expand at 200-250 yards. Mad Dog Weapons has just posted on his Facebook page that his company is now a junior member of SAAMI. I can only assume that this means the 277 is on the path for industry approval. I did the 10yd zero with the Red Stag Ammunition 110gr VMAX load and then shot five over the chrono. Average muzzle velocity with this load from the 12.5in barrel is 2,201 fps. Edit to note about the primers. They're pretty darned flat. Much more so than with the 90gr TNT ammo. Last edited by Tokarev; 04-26-17 at 15:39. I've been looking at .277 Wolverine for awhile, and I think it has a lot more promise, as it offers the same subsonic /supersonic versatility of .300blk, but with supersonic performance nearly identical to 6.8 SPC. I just wish I could get an AUG barrel in .277, or perhaps an XCR Micro pistol. So you get more power at the muzzle, and 125 yards more expansion range over .300 BLK. 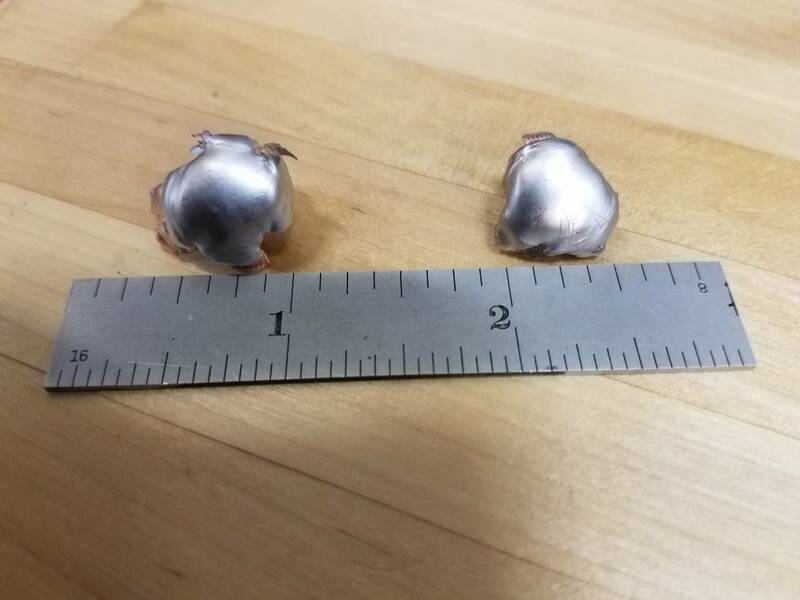 Meanwhile, for subsonic, you can get 193gr cast lead, or 175gr expanding copper hollow points. -Sierra Pro Hunter 110 g: 2038 fps, 24"+ penetration. Notes: Narrow pofile, deep penetration. Had the .277 been introduced 10 years ago, there would be no .300 BLK or 6.8 SPC. I have my first handloads put together with 90gr Speer TNT and 90gr Nosler Bonded Performance bullets. I've stayed on the conservative side with my initial attempt. I thought the optimal barrel length for 300 BLK is ~10" where the 6.8 SPC II is ~16" or maybe 18". What is the optimal barrel length for the .277? 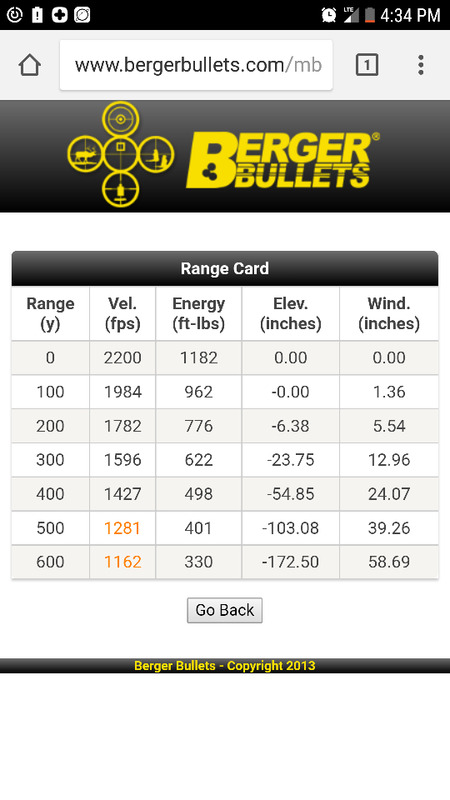 How does velocity and energy of the 300 BLK number compare to a 10" barrel 6.8? I am just trying to compare apple 🍎 to apple 🍏 with this. How does velocity and energy of the 300 BLK number compare to a 10" barrel 6.8? I am just trying to compare apple �� to apple �� with this. Yes, thank you! I was about to say the same thing. The .277 Wolverine Wikipedia page only quotes 16" barrels. .300Blk is optimized for ~9" barrels. I'm wondering if it has enough room to accelerate when you get down to the short SBR type platforms. So the .277 has pretty much identical velocity to the .300 BLK out of a 8.3" barrel, but with a bullet with a better BC for retained velocity. This morning I shot two rounds of the 110gr VMAX load into a block of ballistics gel from Clear Ballistics. Penetration with both bullets was right at 19in. Both bullets expanded nicely in the first inch or two of gel and lost a bit of lead and jacket from about 6in-9in in their respective tracks. Retained weights were about 85gr per recovered bullet. Normally, VMAXs tend to fragment, but it looks like they held together nicely at the lower velocity. IMO, the 90 grain Gold Dot bullets are ideal for the 277. They are shown to expand nicely down to ~1650 fps.